A plane that was forced to return to a gate at Mineta San Jose International Airport Friday morning is back in commission and no other flights were affected, airport officials said. 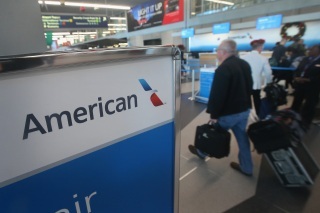 American Airlines Flight 1318 was forced to return to the gate at 6:30 a.m. because "there was fuel on the engine," said airport spokeswoman Vicki Day. Day said the problem, which she also described as a "fuel spill," has been fixed and the passengers were re-loaded on the plane, according to Day. She had no further details about the mechanical problem. No other flights at the airport were affected by the problem, the spokeswoman said. She said all flights are arriving and departing normally at the airport.